Dry, cracked earth in Portugal. Photo by Pedro Valdez. It’s always important to consider how we can conserve precious natural resources. During times of drought, we need to be extra cautious about local watersheds. Sensitive species and delicate biomes are especially prone to damage when water is scarce. 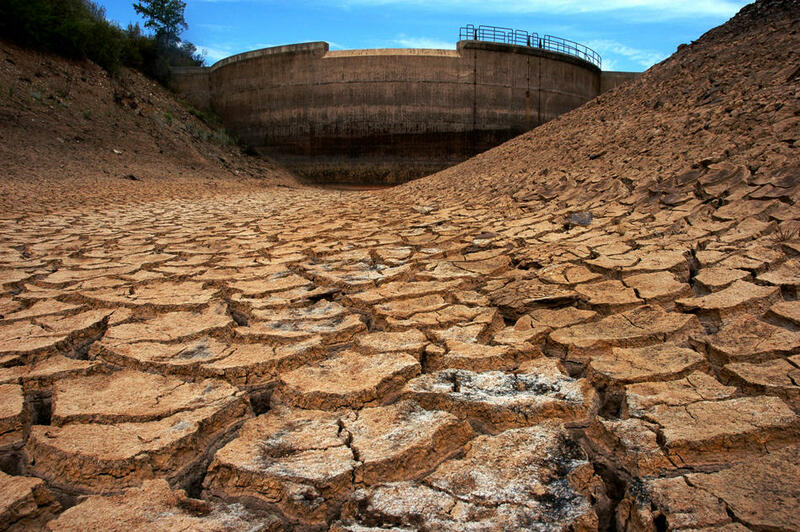 This article will suggest ways for you to help minimize the impact of a drought. Conserving water whenever possible is the #1 rule of a drought. Reduce your regular water use, reuse water that isn’t dirty yet, and recycle water that is too dirty for one purpose but still fine for another. An example of all three principles is tub-washing dishes (as opposed to hand-washing with running water). The tub-washing method uses less water, involves reusing both soapy and rinse water–and when you’re done, you can toss the rinse water into your garden! In fact, if you use ecofriendly dish soap, then all of the dishwater can go to the garden. Follow your municipal drought guidelines when watering your lawn and garden. Always water in the evening, using drip irrigation or a hand vessel if possible. Consider installing low-flow shower heads, faucets, and/or toilets (DIY guide). Avoid using pesticides and herbicides. Potentially hazardous even in rainy seasons, these chemicals linger on plants and in the air during a drought. Research your city’s pesticide and herbicide policies during drought seasons, and petition them to reduce their use if they have not already done so. Prevent wind erosion whenever possible, by mulching or planting xeric ground covers on bare soil. Drought conditions can easily lead to dust storms that damage fragile habitats and fill our rivers with silt. Talk to local watershed coordinators or the parks department about protecting riverbanks’ topsoil from erosion; this could be a good project to crowdfund with a Creeklife campaign. 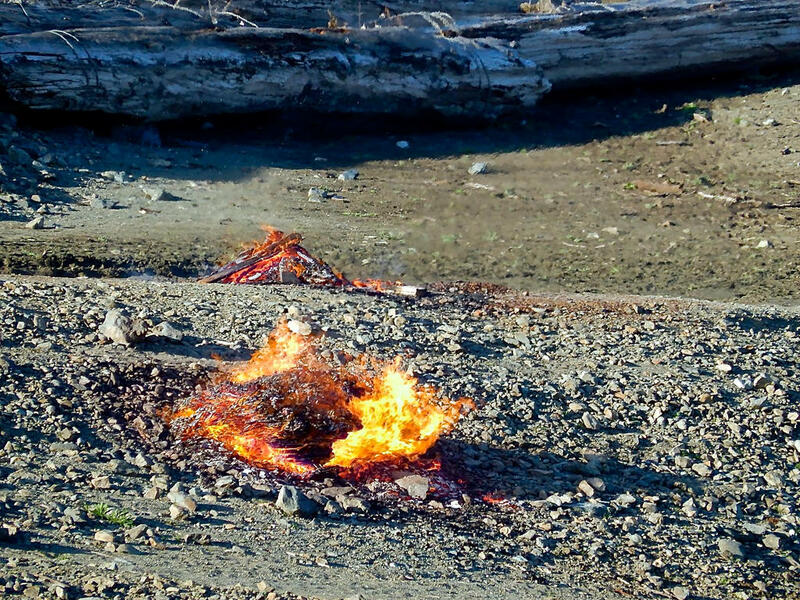 Lightning will inevitably start fires during a drought, but it’s important to be very stringent about fire safety when the local vegetation is dry and ready to blaze. If you live in a rural area, controlled burns during the spring can help prevent devastating summer fires. If you plan on camping, invest in a good gas stove instead of using an unpredictable wood fire to cook your food. Many areas of the US are already preparing for a hot, dry summer, during which water is even more precious than usual. Following these guidelines will help you ensure that your watershed comes through the drought in good health.